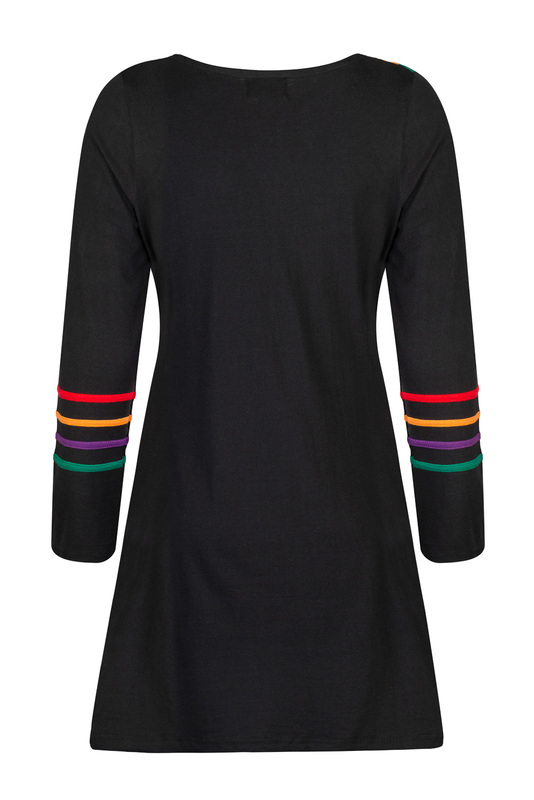 How about this for a fantastic, dramatic 'little black dress' with a difference? 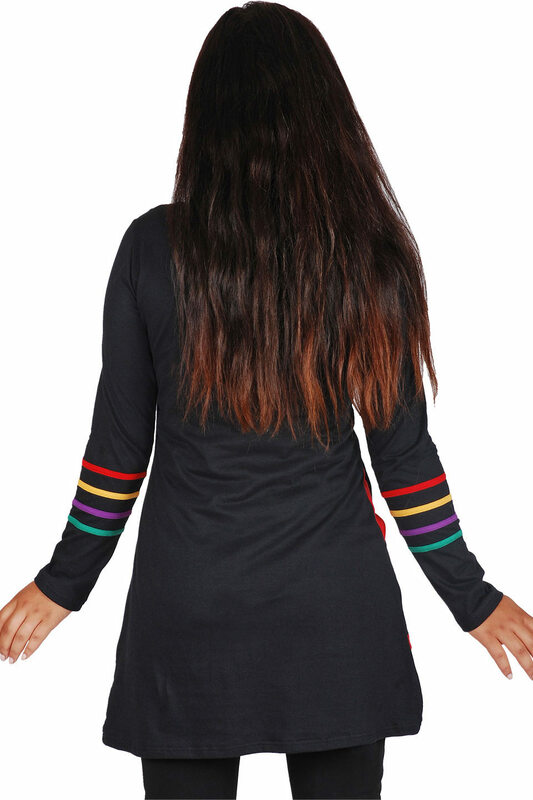 It's made from quality stretchy cotton and features rich, bold rainbow detailing at the neckline, front hem and around the sleeves. The boat neck is the last word in style and the gentle A-line silhouette is lovely and flattering. 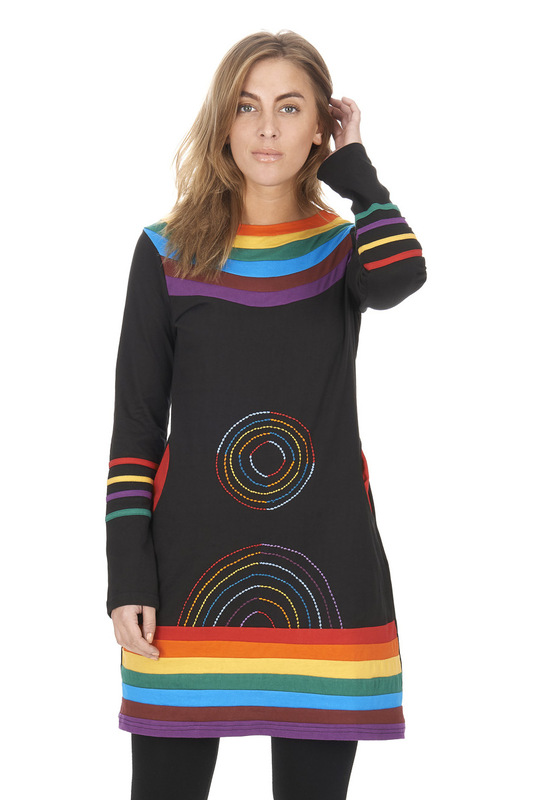 Wear it as a dress or as a pretty tunic over leggings, a skirt or jeans. We particularly like the neat side pockets, picked out in vivid scarlet. 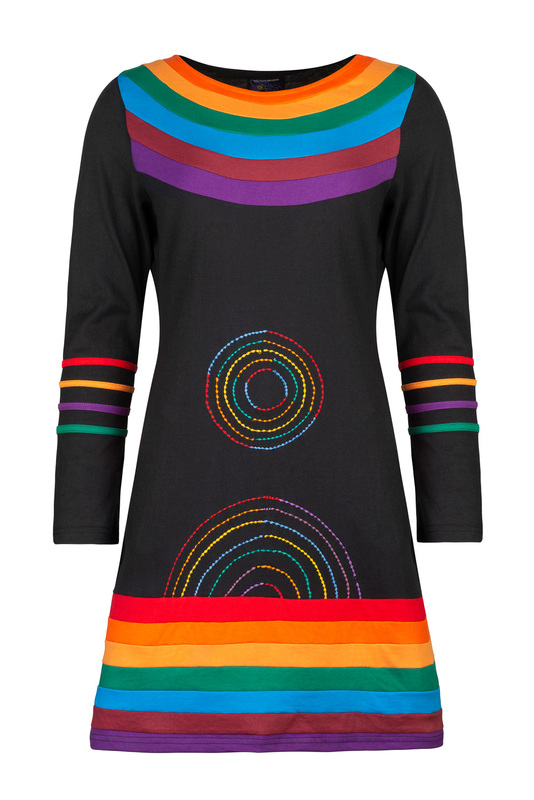 And the beautifully-stitched circles and half-circles on the front make the perfect finishing touch. 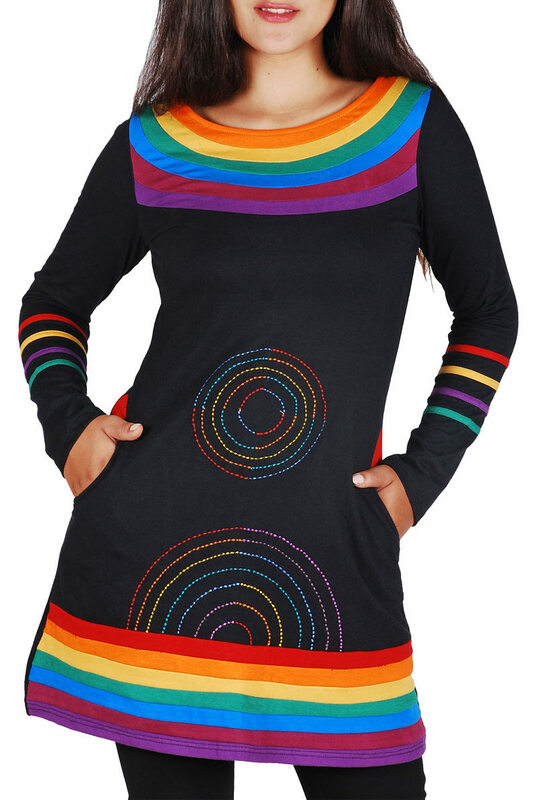 Very nice to use as a tunic with leggings. I hoped this would be as good as the pictures and I want disappointed. Great fit and lovely colours. Another excellent purchase from Wicked Dragon, love their clothes! Love the 3 dresses I recently ordered. Quick service, size guide & quality really good. I bought this as a birthday present for my best friend to raise her spirits when life was being unkind to her. 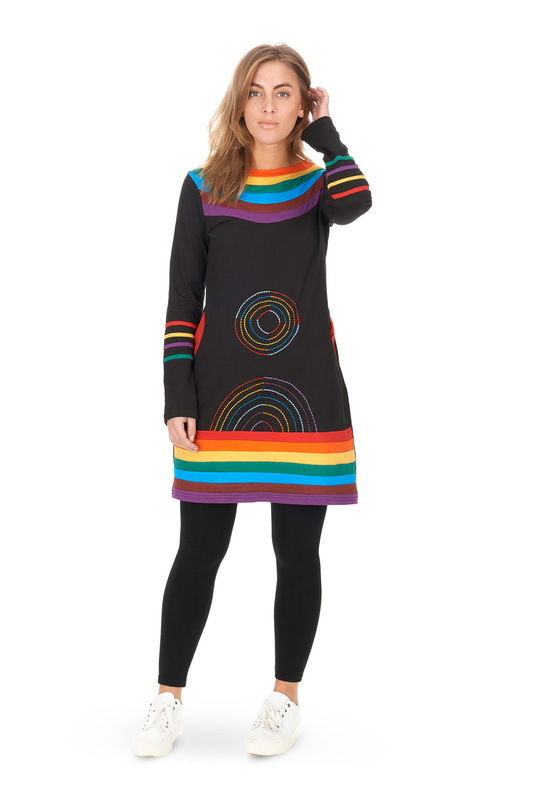 She was delighted with it and commented "I can't possibly feel sad whilst wearing this dress!". This was my first purchase from wicked dragon and definitely won’t be my last. The sizing was perfect, I just went with the chart provided. The dress is very comfortable and washes well.